SKU: 6811714 Categories: Anatomicals Showering Items, Body Wash Cleansers, Body Wash Items, Sale. 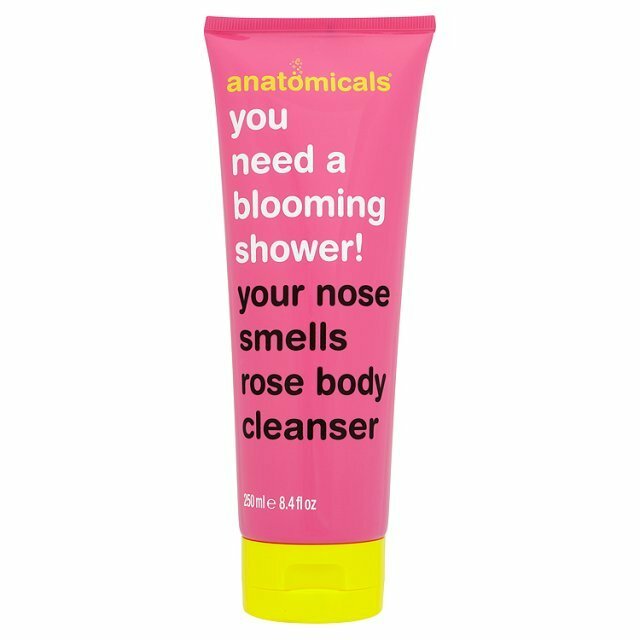 Tags: €10 & under, €5 & under, anatomicals, body cleanser, rose body cleanser, you need a blooming shower. If someone gives you flowers, they’re normally trying to say something. it could be that they love you. it could be that you’re sick and they hope you get better soon. it could be that it’s your birthday and they want to wish you many happy returns and remind you just how old you are. it could be that you’ve died and they want to say sorry that the ice cream can knocked you down. but if they give you this floral shower gel, they probably just wanted to say: “Hey you stink, don’t even think about coming near to me till you’ve washed properly”. Aqua (water) Sodium Laureth Sulphate, Cocamidopropyl Betaine, Glycerin, Sodium chloride, Decyl Glucoside, PEG-7 Glyceryl Cocoate, Parfum (Fragrance) Jasmine Officinalis (Jasmine Extract) Citric Acid, Benzyl Alcohol, Potassium Sorbate, Sodium Benzoate, 2- Bromo-2-Nitropropane-1, 3-Diol, Methylchloroisothiazolinone, Methylisothiazolinone, CI 17200 (Red 33), CI 16255 (Red 4), Linalool, Eugenol, Geraniol.